Nonfarm payroll employment increased by 162,000 in March, and the unemployment rate held at 9.7 percent, the U.S. Bureau of Labor Statistics reported today. 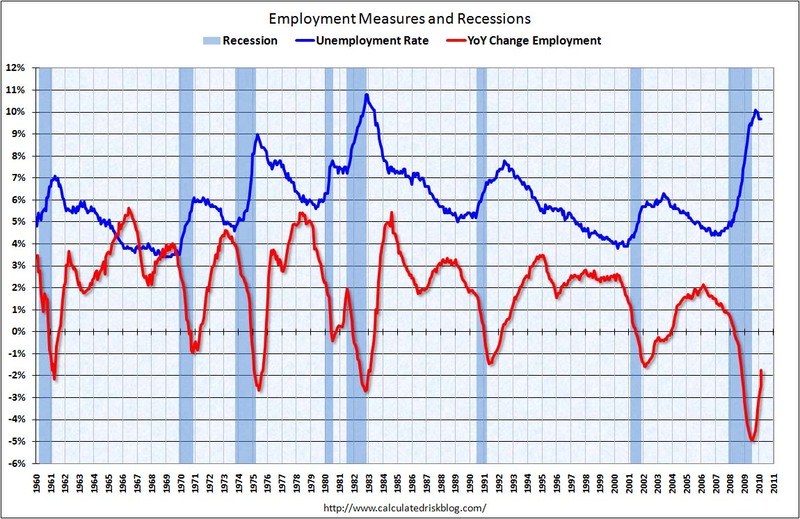 This graph shows the unemployment rate and the year over year change in employment vs. recessions. Nonfarm payrolls increased by 162,000 in March. 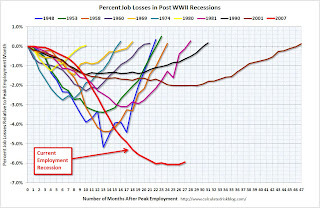 The economy has lost 2.3 million jobs over the last year, and 8.2 million jobs since the beginning of the current employment recession. The unemployment rate was steady at 9.7 percent. 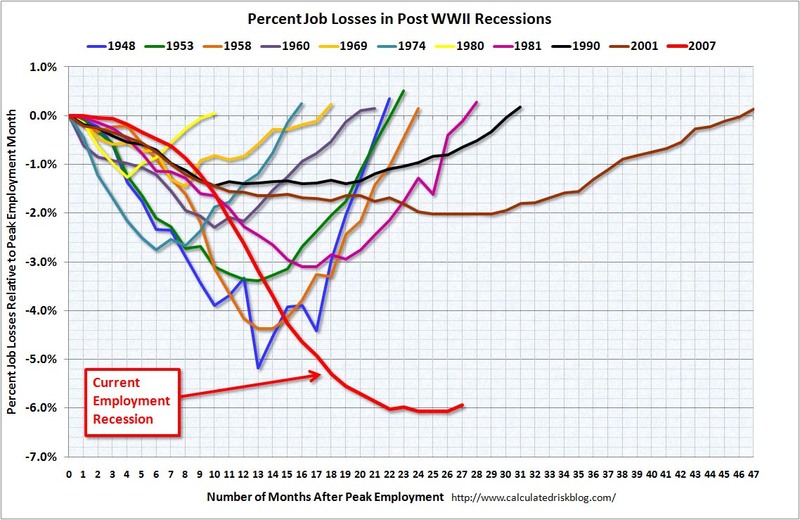 The second graph shows the job losses from the start of the employment recession, in percentage terms (as opposed to the number of jobs lost). 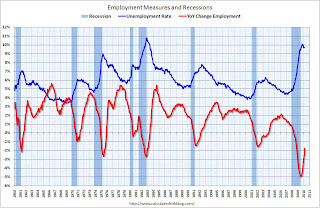 For the current recession, employment peaked in December 2007, and this recession is by far the worst recession since WWII in percentage terms, and 2nd worst in terms of the unemployment rate (only early '80s recession with a peak of 10.8 percent was worse). 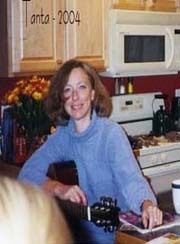 Census 2010 hiring was 48,000 (NSA) in March. Note: I'll post a live chat with the BLS (starts at 9:30 AM ET), and more graphs around 10:30 AM ET.